Women’s divisions were being included in an increasing number of armwrestling tournaments during the ‘70s, but it was in the ‘80s that participation really took a jump. Some of the top female pullers of the ‘70s enjoyed continued success into the ‘80s, but there were also several new pullers who came onto the scene and made waves during the decade. The top pullers met up at the biggest tournaments. These included national and world championships put on by organizations such as the World’s Wristwrestling Championship (WWC), the World Professional Armwrestling Association (WPAA), the World Arm Wrestling Federation (WAWF), the American Armwrestling Association (AAA), Arm Wrestling International (AWI), the International Wristwrestling Club (IWC), and the World Professional Wristwrestling Association (WPWA). Based on an analysis of the tournament results I’ve managed to find, the following is list of who I believe to have been the top 15 female pullers of the 1980s. Vermont’s Jeanette Davis began armwrestling in 1981 and proceeded to win a string of major titles in the lightweight division over the next three years. By the end of 1984, she had won two AAA Stand-Up national titles, three AAA Sit-Down national titles, and a WAWF world title. 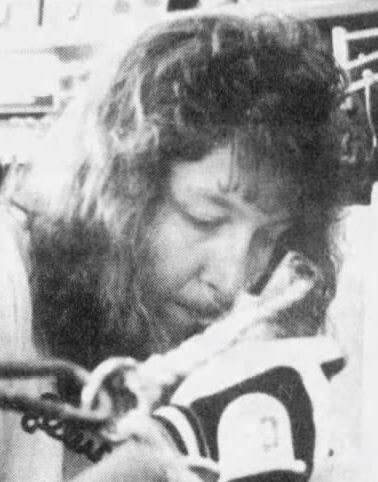 A very active puller from Alberta, Brenda Vergette was a force in the middleweight division during the ‘80s. She won Canadian national titles almost every year. She book-ended the decade with world titles – a WAWF world title in 1982 and a WWC world title in 1989. In the mid-‘80s, Canada’s Carolyn Fisher’s success in armwrestling rivaled that of her husband Allen’s. Between 1984 and 1987, she placed in the top four at the Over the Top World Championship, she won a AAA Stand-Up national title, and she won five WWC world titles in the lightweight division (three with the left arm and two with the right). 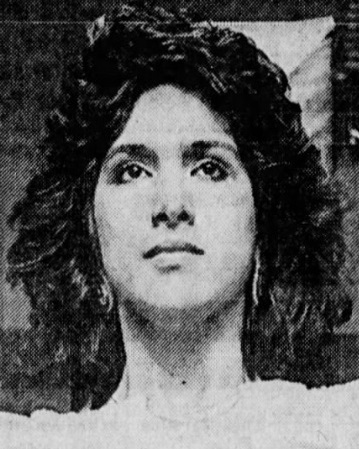 California’s Lori Cole may have suffered a broken arm at the World’s Wristwrestling Championship in 1978, but this didn’t stop her from becoming one of the lightweight division’s top pullers in the ‘80s. Among her many successes, she won three WWC world titles in a row and at least two AWI world titles. In addition, she won the prestigious Sands International tournament on multiple occasions and she placed in the top four at the Over the Top World Championships. Arizona’s Angie Philips beat her father in armwrestling when she was just 13 years old. She figured she had a knack for the sport, and so she began competing at the age of 14. She didn’t travel out of state very much but did go to the Las Vegas AWI Pro World Championship tournaments when she was in her early twenties during mid-to-late ‘80s. She won at least a couple of these televised events in a row, with wins over high calibre pullers like Brenda Vergette and Grace-Ann Swift. At 120 lbs, no one was more dominant than Pennsylvania’s Bonnie Dohm (nee Newcomer) during the ‘80s. The class wasn’t offered at many of the decade’s top tournaments, but wherever it was, Bonnie was usually in attendance. She won at least eight AAA national titles between 1984 and 1989, including six consecutive Sit-Down titles! In addition, she won two WAWF world titles (in 1986 and 1987). The ‘70s ended with Pam Carter at the top of the women’s armwrestling world. She continued her reign into the early ‘80s, winning the heavyweight division in both the Sands International tournament and the World’s Wristwrestling Championship three years in a row between 1980 and 1982. She also won a WPWA world title in 1980, before cutting back on her travelling. It wasn’t until a 6’4”, 240-lb powerhouse came onto the scene in 1983 that Pam lost her unofficial top ranking. 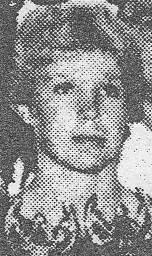 British Columbia’s Sharon Brandes began competing in the early ‘80s. She did well in local tournaments, but remained somewhat under the radar until she began travelling to major events. But once she started, she made a splash. She was most active in the mid-‘80s, during which time she won a WAWF world title, back-to-back AWI Pro world titles, and back-to-back middleweight WWC world titles (for which she had to defeat Pam Carter to win both years). At 135 lbs, few women could compete with Alabama’s Rhonda Lindley during the mid-to-late ‘80s. She followed up her first major title (won at the 1985 AAA Sit-Down Nationals) by finishing runner-up in the lightweight division of the Over the Top World Championships in 1986. She often pulled multiple weight classes in the same event, and usually won all of them. By the end of the decade, she had amassed multiple titles at the prestigious Atlantic Coast tournament and at least five AAA national titles. Massachusetts’ Grace-Ann Swift was one of the very best middleweight pullers in the late ‘80s. She won several Atlantic Coast titles, at least four AAA national titles, and world titles at the two WAWF World Championships she attended during these years. 1989 was her best year of the decade: she won AAA Sit-Down and Stand-Up national titles, an AWI world title, and a Yukon Jack Championship title! 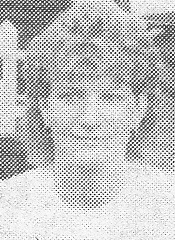 Ontario’s Christine Jaworski (nee Leclair) is another Canadian puller who made quite an impression in the mid-‘80s. She won a WPAA world title, Canadian national titles in multiple weight classes, and most impressively, she won the lightweight division at the Over the Top World Championship atop an incredibly strong field of competitors in the biggest tournament of the 20th century. Texan Carolyn Liebel started competing in 1983, and by the end of 1984 she had already won a world title (WPAA). She consistently appeared at the top of the heavyweight division AAA national standings. 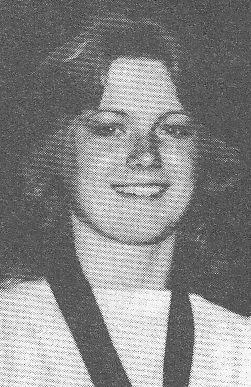 In fact, of the nine AAA Nationals she attended between 1984 and 1989, she was runner-up once, and finished in first place eight times. She won six AAA Stand-Up National titles in a row! French-Canadian Liane Dufresne won WPAA world titles three years in a row between 1985 and 1987, many Canadian national titles, and the World Armwrestling Challenge in 1988. But she is most famous for being the only person to ever pin Dot Jones during her 13-year armwrestling career. Liane beat her at the biggest tournament ever held: the Over the Top World Championship in 1986. In doing so, she won the largest cash prize in the history of women’s armwrestling and was given a cameo in the Sylvester Stallone film. Not bad for a 19-year old! Liane is not known to have had any losses between Over the Top and the end of 1989. Rarely does a puller enter the sport and dominate at the level that Michigan’s Cheri Fiebig did in the very early ‘80s. After winning the lightweight division of the World’s Wristwrestling Championship in October 1979 in her first attempt, Cheri went on a tear in 1980 and 1981, winning a AAA Sit-Down national title, two WPWA national titles, a WPWA world title, an IWC international title, an IWC world title, a WAWF world title, and a WWC world title. Perhaps most impressively, she easily won both women’s weight classes at the 1981 AAA Stand-Up Nationals, each of which had approximately 20 entries. It was the biggest cash prize tournament of the year, and attracted almost all of the best pullers in North America! Puller-turned-actress Dot Jones was the undeniable queen of women’s armwrestling during the ‘80s. 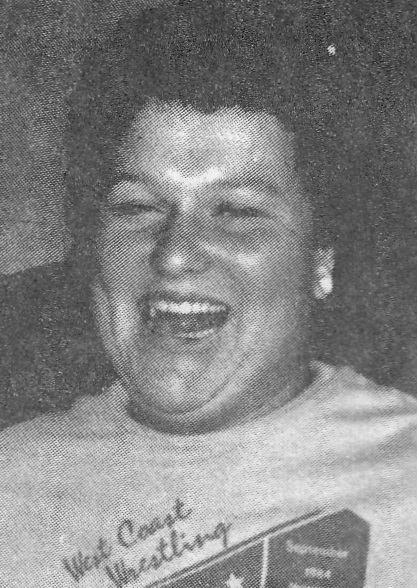 Already the country's top junior college shotputter, in 1983 she attended her first armwrestling tournament on a whim and won. To say her success continued is an understatement. 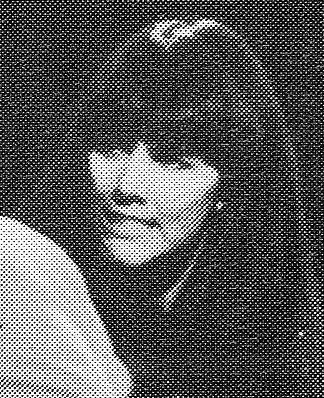 Aside from her two losses to Liane Dufresne in 1986 (which she avenged when they next met up eight years later), Dot had a perfect record during the decade. At 6’4” and 240 lbs, women’s armwrestling had never seen someone the likes of Dot. She shot to the top of the armwrestling world not unlike how the great Cleve Dean did in the late ‘70s. Both completely dominated their opponents with sheer power. Starting with her win at the World’s Wristwrestling Championship in 1983, Dot went on to win an unbelievable 11 WWC world titles in a row!